Esthwaite Water is a lake in the Lake District. It is 2.5km long, with the village of Hawkshead located to the north of the lake, and Near Sawrey located to the south-east of the lake. 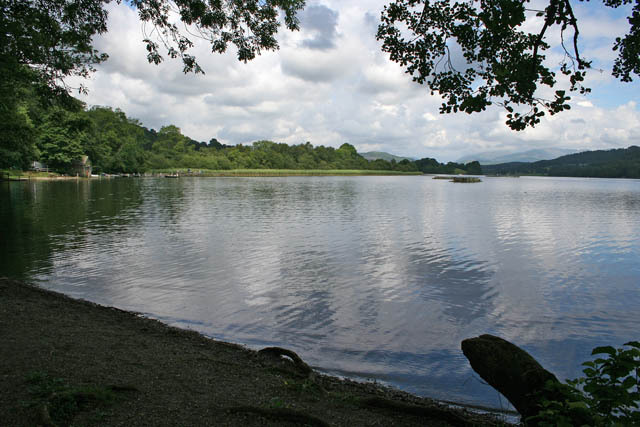 Esthwaite Water is one of the smaller and lesser known lakes in the Lake District national park in northern England. 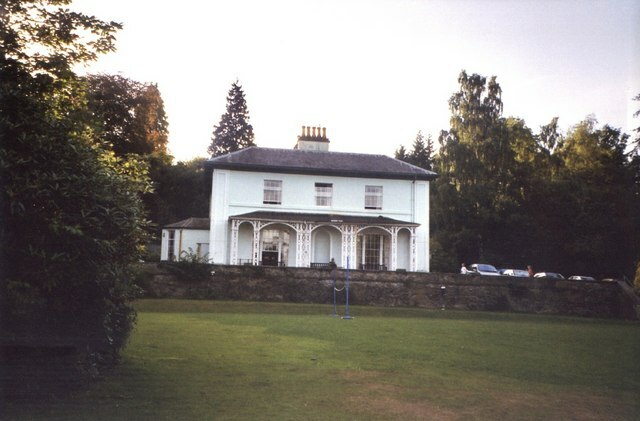 It is situated between the much larger lakes of Windermere and Coniston Water, in the traditional county of Lancashire; since 1974 in the administrative county of Cumbria. To the north is the village of Hawkshead and to the west is Grizedale Forest. The lake covers around and is known for its excellent fishing, particularly trout and pike. It has been designated as a site of special scientific interest. 'Esthwaite' is "probably either (a) 'the eastern clearing', with ME 'e(a)st', probably replacing ON 'aust(r)' 'east', and ON 'þveit' 'clearing'...or (b) 'the clearing where ash trees grow', from ON 'eski' 'ash trees, ash copse' (see 'askr') and again 'þveit'." Whaley also mentions an outside possibility that the Cunsey Beck, which flows out of Esthwaite Water may previously have been called 'Ystwyth' 'agile one', a Brittonic word. 'Water' is "'wæter' OE, 'water' ModE, the dominant term for 'lake'..."
The lake was mentioned as the location where William Wordsworth conversed with a friend in Wordsworth's poem, "Expostulation and Reply," part of Wordsworth's Lyrical Ballads and, in the same collection, it is the location for "Lines Left Upon A Seat In A Yew-Tree." 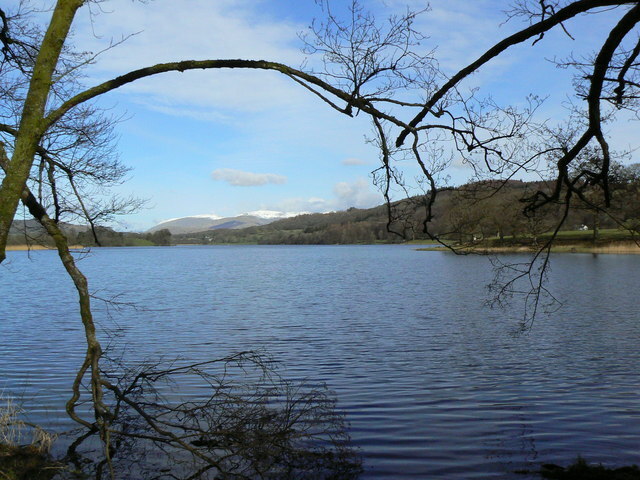 Wordsworth also mentions it in his Prelude in line 267: "Make green peninsulas on Esthwaite's Lake", and also at line 570: "From Esthwaite's neighbouring lake the splitting ice". 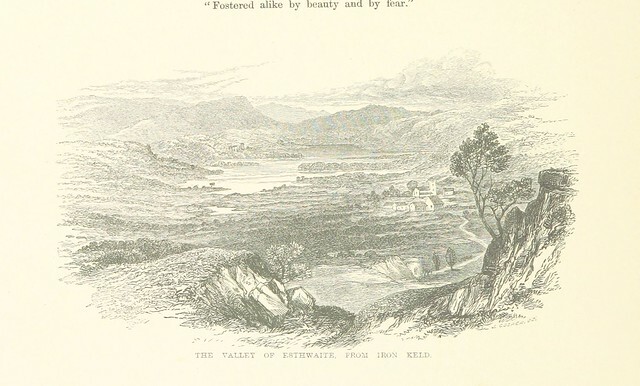 The poem "The vale of Esthwaite" (1787) was Wordsworth's first effort at sustained composition. 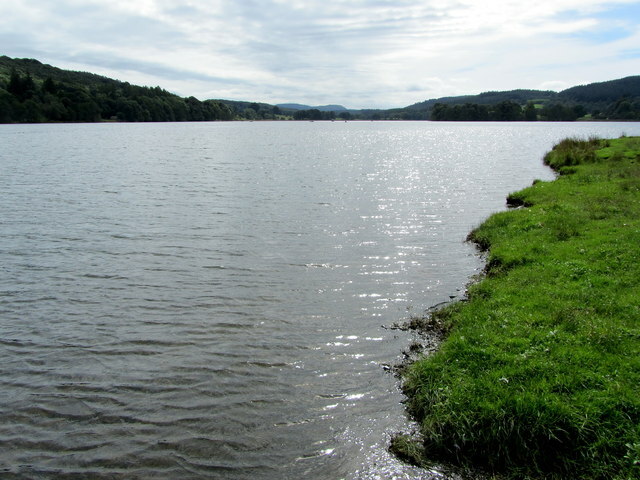 Esthwaite is notable as one of the most nutrient rich of the mesotrophic lakes in Cumbria. As well as the more common British species of the genus Potamogeton, Najas flexilis is also present. Text from Wikipedia, available under the Creative Commons Attribution-ShareAlike License (accessed: 03/09/2018). 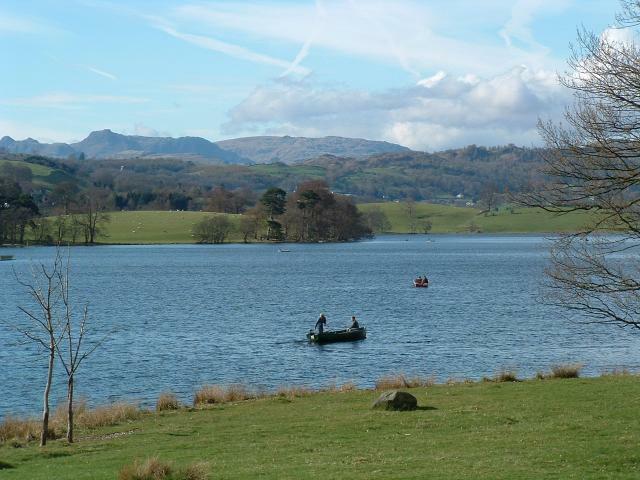 Visit the page: Esthwaite Water for references and further details. You can contribute to this article on Wikipedia.